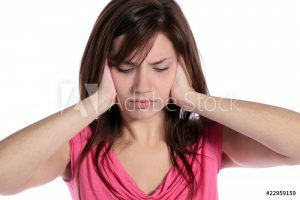 Tinnitus, ringing or buzzing sounds in the ear, has been affecting humans for thousands of years, and as long as people have been experiencing this odd auditory trouble, others have been trying to cure it. Some of the strange tinnitus treatments offered include pouring rose extract into the ear, filling the ear canal with earth worms boiled in goose grease, and strapping hot loaves of bread to the ears. Today, our understanding of tinnitus is a little more advanced, and hopefully, the available treatments are too. Tinnitus, simply, is a ringing, buzzing, or humming sound in the year. However, the issue goes much deeper. Tinnitus actually occurs because of decreasing flexibility of the nerve hairs inside the ears. When properly functioning, these hairs decode, organize, and relay sounds to the brain. However, improperly functioning nerve hairs do not filter sounds properly, leading to difficulty hearing, and can cause the ringing or buzzing sounds in the ear called tinnitus. People who are repeatedly exposed to loud sounds, swimmers, and those who have experienced head injuries may all suffer from hearing loss or tinnitus. There is some research that indicates hearing loss and tinnitus may also be genetic. As we age, the elasticity of aural nerve hairs decreases, which can also lead to ringing in the ears. Tinnitus may also occur when people suffer from chronic teeth grinding and clenching (bruxism) or temporomandibular joint (TMJ) dysfunction. What Can a Dentist do for Tinnitus? If your tinnitus is caused by bruxism or TMJ dysfunction, a dentist can offer a variety of treatments to relieve this issue. Nightguards can relieve unconscious teeth grinding and clenching as well as unnecessary jaw joint strain that leads to TMJ dysfunction. The loud, constant sounds produced by teeth grinding and clenching can also cause tinnitus. Some dentists also offer Botox injections that reduce unconscious jaw muscle movements that may lead to TMJ dysfunction. In Ft. Collins, Shiloh D. Lindsey DDS and the dedicated Aspen Dental Care team offer TMJ therapies for patients whose tinnitus is caused by this oral health issue. We also provide a wide range of other dental care services to ensure you keep the smile on your face. If you’re suffering from TMJ, tinnitus, or any other health concerns, contact Aspen Dental Care to find out more today. We’ll do our utmost to provide effective treatments. Come back to read our blog regularly to find out more about all of the services we offer and latest news about our team.